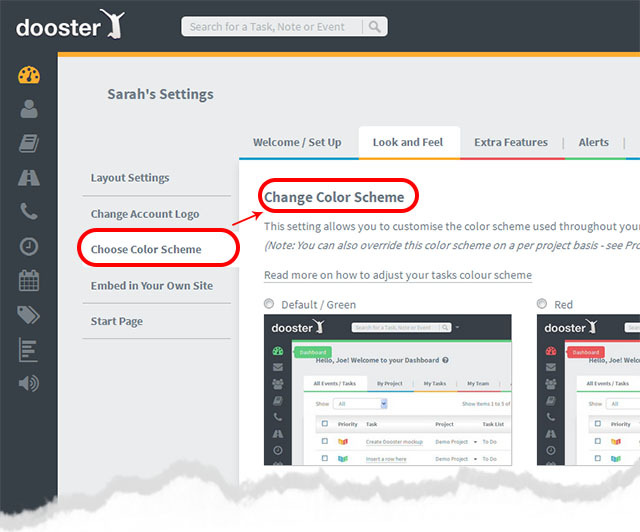 You can adjust the color of your Dooster app so that it better represents your business / brand. This changes the top header, the buttons and various other features in the app, like the date pickers. 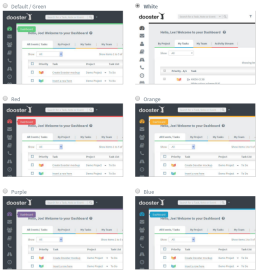 It is also very useful if you decide to embed dooster into your own website and effectively white label it – so it looks like your own inhouse tool. NOTE: You can also have a special color for individual projects. This is useful if you have more than one client with logos that need a different background in order to look professional. (Set this in the Project Options screen).